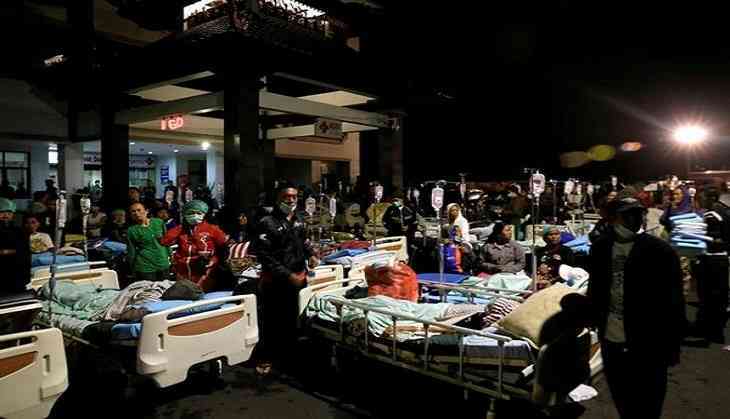 The death toll in Sunday's earthquake of magnitude 6.9 that jolted two islands of Indonesia, has increased to 82. The powerful earthquake and strong aftershocks rocked Bali and Lombok island of Indonesia, causing thousands of people to rush out of their homes and take outdoor shelters, reported CNN. The natural disaster, which was the second powerful temblor on Lombok in a week, hit the island in the evening after the sunset. A 6.4-magnitude earthquake shook the island on July 29, which claimed lives of more than a dozen people. All the landline and cellphone services have been reported down in Lombok's Tanjung town, which is nearest to the epicenter.